In today’s roundup of tech deals from around the web we have a flash sale on TP-Link products, $12 Milanese loop band for Apple Watch, 128GB memory cards for under $20 and much more! But you better hurry, these prices won’t be around forever. 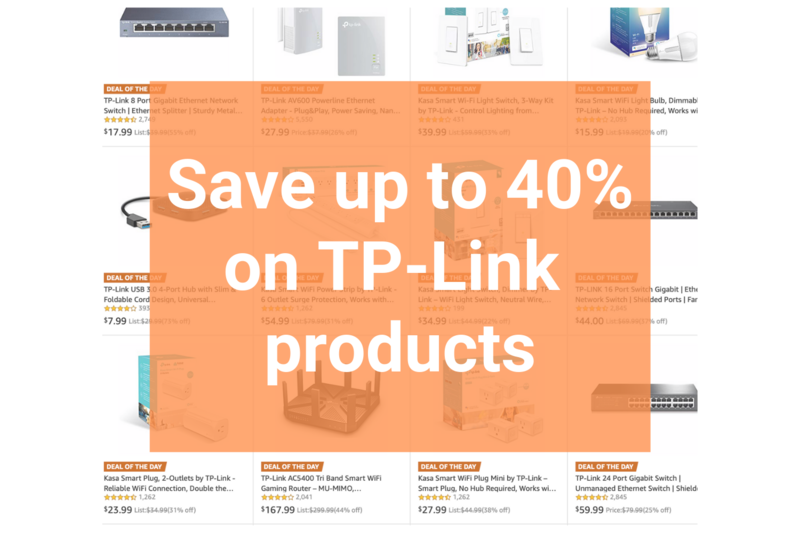 Amazon is hosting a flash sale on select TP-Link products right now. Those in the market for a new router, connected appliance, ethernet switch or other related items will for sure want to check it out. Here we have a beautiful third party alternative to Apple’s Milanese Loop for Apple Watch. It’s only $1 or $2 off, depending on which color you get, but $12 for a well-reviewed Milanese band is a deal all day in my book. It’s stainless steel with a magnetic clasp and comes with a 60-day warranty. It’s also worth noting that it has a 4.6 star rating on Amazon, on over 550 customer reviews. Top eBay seller Neogames has a solid deal on 1-year memberships for Sony’s PlayStation Plus service right now. They typically run around $60, but for a limited time you can get a membership for just $43. PS Plus allows you to play multiplayer games online, gives you access to free downloads, exclusive content and tons of discounts. Even if you already have a membership, you can still grab this one on discount and stack it. Looking for a leather case that isn’t too bulky and won’t break the bank? We found a leather case for iPhone X (and XS) that is super slim and costs just $8. Features include lanyard holes for easy carrying, a durable polycarbonate bumper for added drop protection, and support for wireless charging. Be sure to clip the on-page coupon to get the sale price. Here is a solid deal on Samsung’s ultra-popular 128GB microSD EVO Select memory card. Features include up to 100MB/s & 90MB/s read and write speeds, Class 10 UHS 3 tech and it comes with a 10-year limited warranty. These things usually retail around $25, so not a huge savings, but this is just $1 off its lowest price ever. Grab one quick! Note: other sizes of the same memory card are on sale as well.